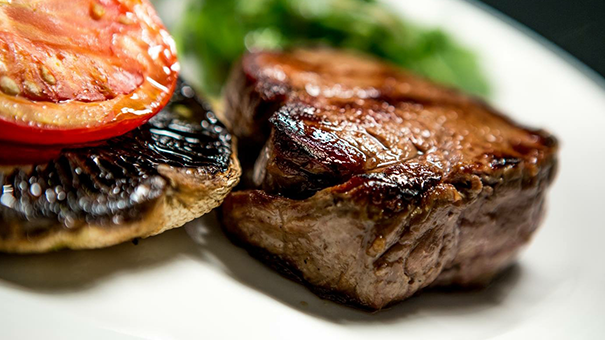 This isn't just any Steak Night- this is a Loxleys Steak Night! Subject to a minimum of 2 people dining, just order 2 courses from our steak menu (either a starter and main or main and dessert) and get a specially selected bottle of red wine absolutely free! All our Chateaubriand, fillet, ribeye and rump steaks are served with tomato relish, watercress garnish and a choice of skinny fries or hand cut chips. With either a peppercorn, blue cheese sauce or red wine jus. Check out our menu for more details. The best steaks in Stratford Upon Avon!